This is an industrial fan force heater. It is modular in design. Allowing for increase of 20kW per module. Starting at 20kW and expanding through to 60kW. This unit is controlled by DDC. The fan motor can be mounted internally or externally. Ideal to heat large spaces or production lines. 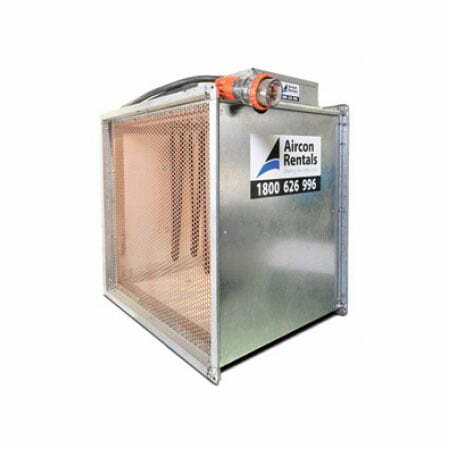 Call Aircon Rentals for your ideal heating rental solution on 1800 626 996. Power Requirements: 3 x 32amp 3 Phase. Device(s) has been design to run from standard 2 Amp 5pin plug(s).